Have questions about how Pop-A-Lock White Marsh operates? You may even want tips or have questions about our services. Our locksmith FAQ can help provide the answers. Is It True That You Shouldn’t Trust Locksmiths? The short answer is no. While there are some bad apples out there, not all locksmiths engage in unlawful or dangerous practices. Before you hire a locksmith, make sure that the business is valid. You can do that by checking the Better Business Bureau’s website. Also, check with the appropriate government agency that the locksmith has a license. In Maryland, you check for licenses on the Department of Labor, Licensing and Regulation website. Most legitimate locksmiths have properly marked vehicles and teams with professional uniforms or clothes that identify the company. Will Having You Unlock My Car Without a Key Cause Damage? No, we won’t damage your car when you call us to unlock it. We designed the tools that our team uses specifically to prevent damage when unlocking your car. However, it’s possible for aftermarket window tint to sustain damage if we have to use a swan tool. In cases like this, we suggest making a key to open your car. Although it costs more this way, it won’t scratch the aftermarket tint. What Should I Do for Keys That Are Stuck in My Ignition? The safest way to fix this problem is to call Pop-A-Lock White Marsh. We can provide a free estimate to repair or replace the ignition cylinder. You shouldn’t try to force your keys to turn because you could break off the key. Having a broken key in the ignition will cost more to resolve. How Much Does a New Key for My Car Cost? The price for a new key will vary depending on the make, model and year of your vehicle. Previously having the locks rekeyed or changed will affect the price too. To replace a single key or key fob, to a high-security key system, it can cost anywhere from $145 to a few hundred dollars depending on the vehicle. We can provide an accurate estimate when you call us for a quote. 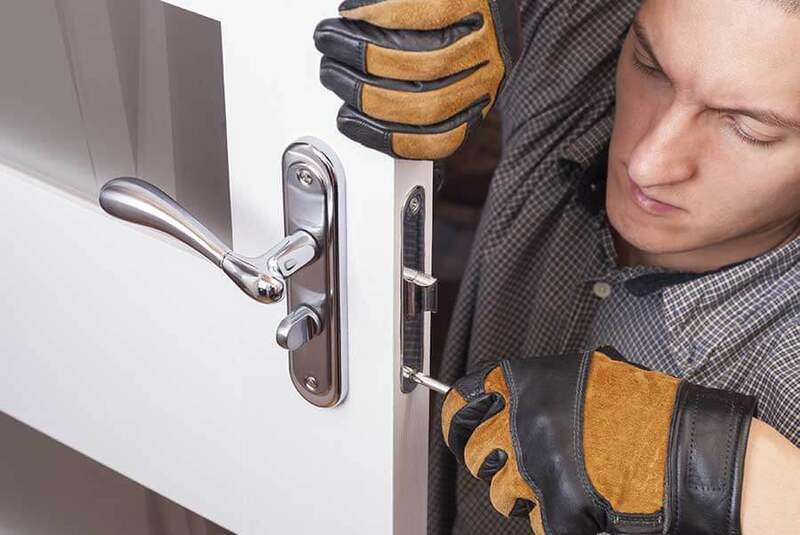 Will Having You Pick My Home or Business Locks Cause Damage? No, picking building door locks doesn’t damage the locks. The reason is that picking the locks simply decodes the pattern of the existing keys. Picking locks isn’t easy, so only an experienced locksmith with the right tools should do it. Rekeying means that we change the configuration of the lock so that the existing keys no longer unlock it. It involves changing the pins in the lock so that they fit a new key, which we make for you. This option is cheaper than replacing all of your locks. You can have us rekey your locks when you lose your keys. We can also do it when you want to make the same key work for all of your locks. How Can I Make My Home or Business More Secure? Pop-A-Lock White Marsh can perform an evaluation of your home or business, including the entry points. We’ll suggest solutions that fit your personal concerns, needs and budget. These include lock options as well as other tips that can improve security. Do You Have Unanswered Questions After This Locksmith FAQ? We hope that our locksmith FAQ answered most of your questions. For more answers, feel free to contact us via phone or the contact form on our website. We also ensure that our team gives accurate quotes, and they do 90% of the time. You can trust that our prices are fair too. Don’t hire just any locksmith. Hire a company that cares about its customers and provides high-quality service. You can call Pop-A-Lock White Marsh 24 hours a day for your locksmith needs.